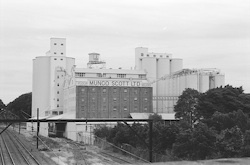 A fine example of industrial architecture in Summer Hill, Sydney, and still in use. 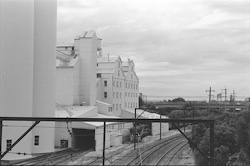 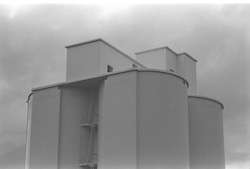 In 2000 we visited the Crago Flour Mills on a photographic excursion. 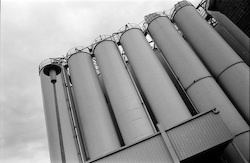 We asked permission to go on-site, but we were only allowed to venture a small distance.